Posted November 14, 2017 10:35 am & filed under Photography, Succulents. 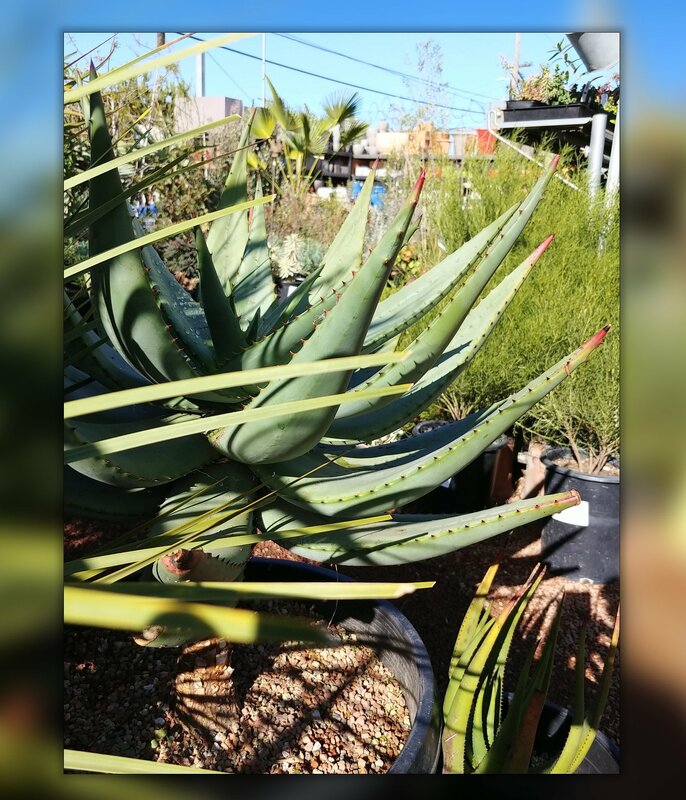 Aloe ferox at the Cactus Jungle on a sunny day. Single large toothy rosette on tall stalk, outdoor up to 8ft.